No, it’s not some new innovation. It’s not a scientific breakthrough. It’s more like a much overlooked old reliable standard. It’s a system everybody has used because it’s practical. It’s neither trendy nor fashionable. We are speaking, of course, about open shelves. Yes open shelving has been around for years. Most people don’t think twice about it, it is taken for granted for the most part. Despite not being in the forefront, it’s not going anywhere either. It’s a storage solution that has proven itself and it is here to stay. 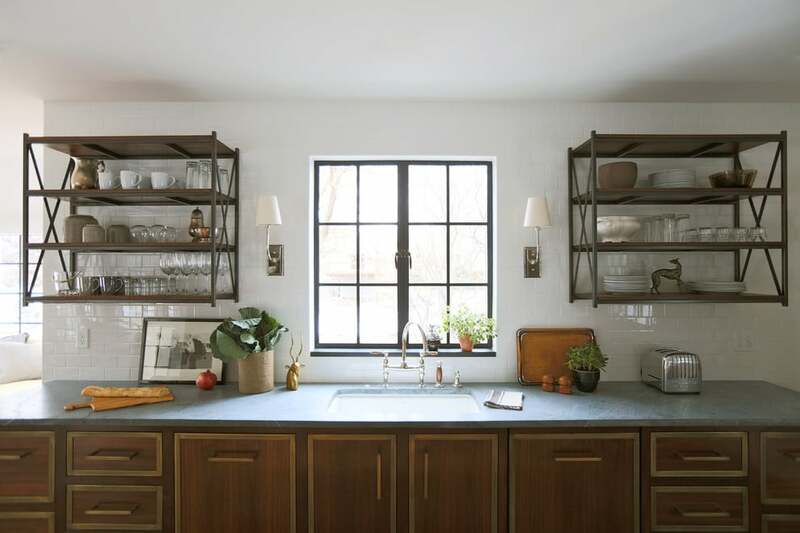 The rustic look isn’t necessarily of mass appeal, and it doesn’t complement all kitchen themes, but it is great for introducing a fresh classic element into your kitchen. Typically it works best for tidy spaces and organized rooms. 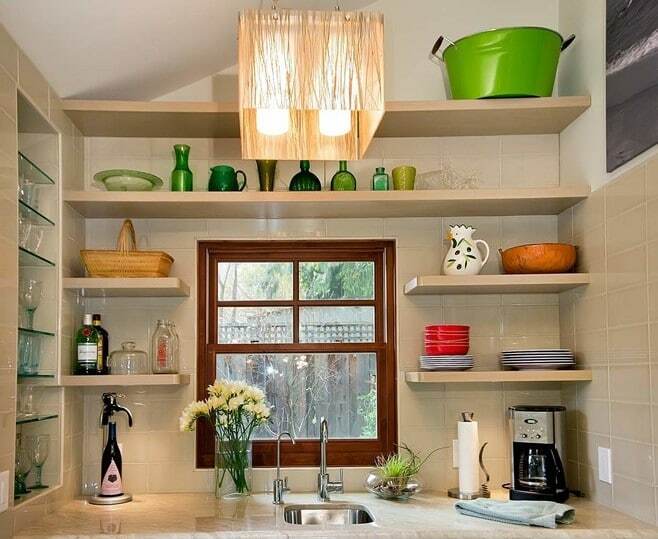 There are many reasons to consider using open shelves in spaces of your home. Especially if you like flexibility in your kitchen, an open shelving concept is something you can take your time with to implement fully. To begin, remove your cabinet doors. 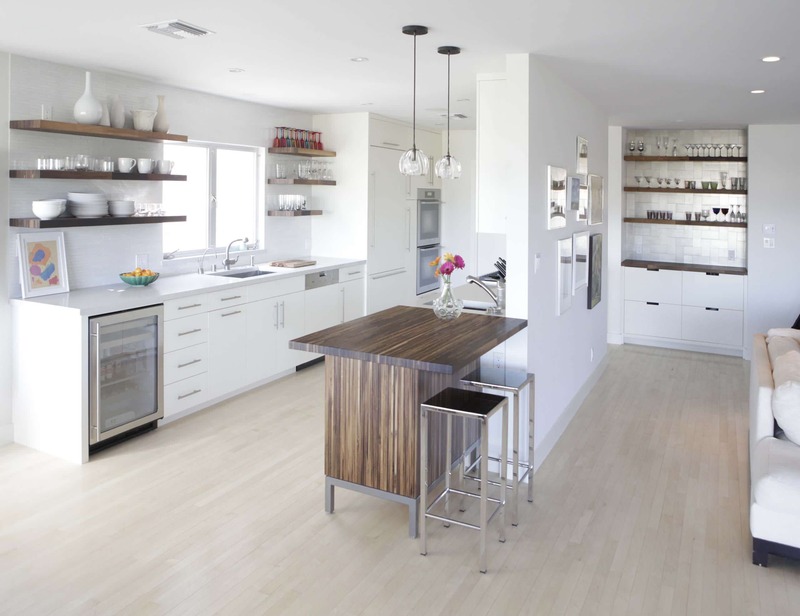 This way you can visually tell if open shelving has positive potential for you. If so, you’ll likely eventually replace your cabinets with shelves. How about mixing it up a bit? You’re not bound to having ALL open shelves. Take off the doors from one cabinet but leave them on another. It’s a combination that in a sense provides the best of both worlds – open and closed shelving. Hide the messes behind the closed doors and let the organized you emerge and preside over the open spaces. Many kitchens, especially older ones, are built around designs that make little sense. For instance, you may have an odd ten inch gap between the side of your kitchen door to the wall. It’s currently wasted space – install shelves there! Or maybe just above your cabinets is an empty space about a foot high and a few feet long. Turn that into an additional shelf! Simply using a little ingenuity and common sense can defeat the blunders of the past. There is no hiding a mess when it comes to open shelves. If you’re typically a neat person and your pet peeve is slobbery then you are a good candidate to successfully utilize them. There’s no getting around it, if you want to maintain your kitchen you need to keep it neat, and with everything visible and out in the open, you will be kept on your toes. Now, if you’re a fan of decorative knick knacks and can’t ever leave a department store without some sort of displayable piece, then open shelving is a no-brainer. It gives you the opportunity to show off certain items in various levels of prominence and allows you the freedom to switch them out often. It’s perfect for the changing décor of the seasons. This is also a great outlet for collectors of like-sized memorabilia and swiftly changing tastes. Speaking of collectors; open shelving really does provide the perfect staging for your items. 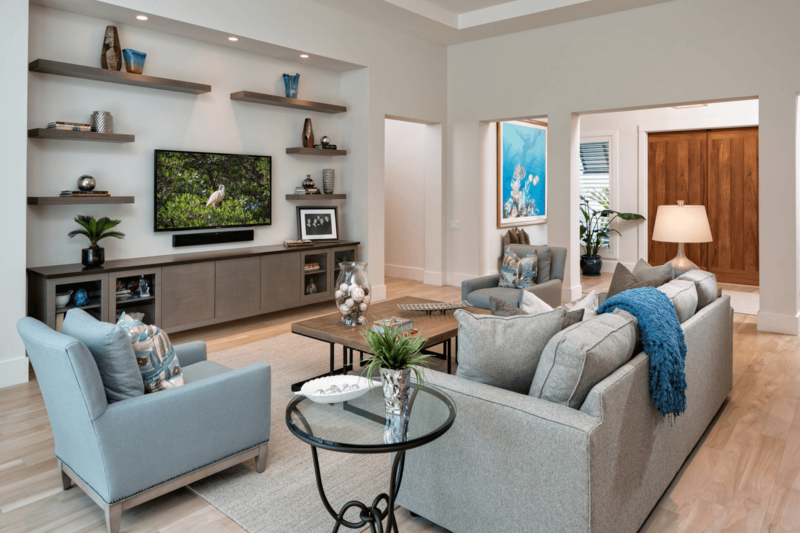 It doesn’t matter if it’s vases, glassware, vintage mugs, or even assembled model kits or action figures, you probably would prefer to enjoy them in view rather than store them away. It’s a fun and easy way to show off your collection and it makes a great topic of conversation. Another factor to consider about open shelving is the low price point. 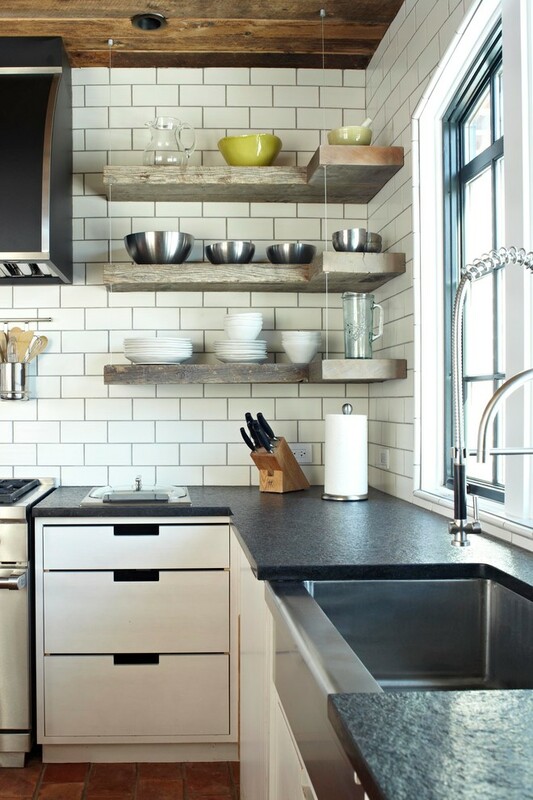 Unlike cabinetry which can cost upwards of a full third of an entire kitchen, open shelves are a fraction of that. In fact, deciding upon them from the start can save you a bit of money. Even if you’re just waiting until you can afford the cabinets you want there is no better solution in the meantime. Ultimately, you’re dealing with a convenient solution. If you like to cook and entertain, it’s an ideal setup with everything visible and ready to go. It can make your guests feel at home, especially when they are directed to “help themselves”; and you’ll have no trouble trying to locate anything as you prepare treats for them. That’s what’s so great about open shelves – it’s all out in the open, free and easy.